IT admins used to push back on having Macs within their organization. But the momentum of Apple products has proven to be too much, and in the last 10 years the Mac platform has penetrated virtually all businesses. Macs are a fixture in the enterprise now. 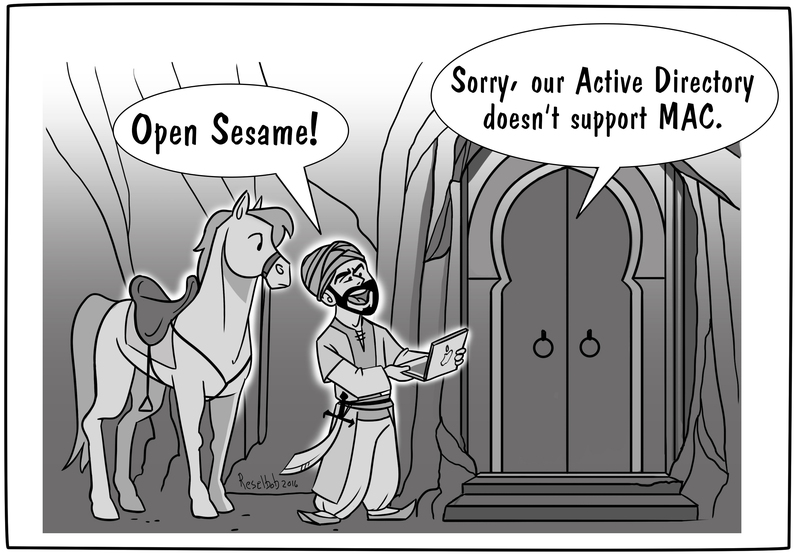 For many IT organizations, the Mac platform is their only platform. For others, it is mixed into their heterogeneous environment. Regardless of how IT organizations leverage Mac systems, they need to be managed. One of the most significant advantages of Windows devices has been the powerful and centralized management of users and systems – and that is an important part of the future of Mac management. Microsoft Windows made tremendous inroads decades ago into the business sector. The monopoly that they created with Windows lasted for nearly two decades, and a core part of that reason is because of the manageability of their platform. Microsoft’s approach consisted of building a platform that could be managed at the enterprise level and built upon by others. Apple went the opposite route, wanting to control the experience and vertically integrate from the hardware to the software. This difference in approaches is one of the reasons that early on Apple struggled to gain significant market share. Today however, it is clear to see that Apple is changing that narrative. While Macs are still in a more closed off or “gated” ecosystem when compared to Windows, Apple has started to open it up. They understand that if Macs are going to become a part of the enterprise, then IT admins are going to need the ability to manage the devices. This is why Apple has been making strides to enable third parties to build more significant management tools. But was it too little too late? All of the conventional management tools IT organizations have used center on Windows. In fact, two of the most popular management tools are produced by Microsoft themselves: Active Directory® and SCCM. There are many others, but historically those solutions have largely centered on Windows as the primary platform. The good news is that the next generation of management tools is based in the cloud and is cross platform. IT admins will no longer need to have on-prem tools, multiple solutions that serve different platforms, and manually managed Macs. One of the most significant innovations in the Mac management space has been Directory-as-a-Service® (DaaS). As a cloud identity management platform that is designed to support mixed device environments, Macs are treated as first class resources rather than afterthoughts. Directory-as-a-Service is an alternative to Active Directory, with coverage for the three major components of directory services: authentication, authorization, and device management. IT admins can now control user access to Mac devices, as well as execute commands and policies similar to how Active Directory runs GPOs on Windows machines. Further, Directory-as-a-Service can add multi-factor authentication to the Mac system login. That’s a significant step-up in security. 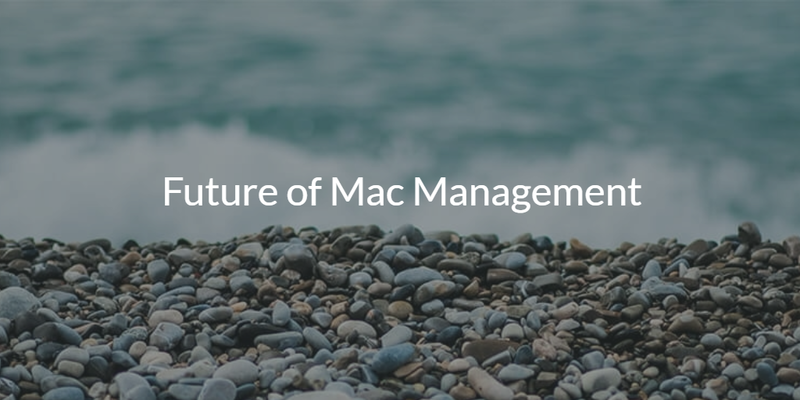 The future of Mac management is Directory-as-a-Service. As a cloud IAM platform, the virtual identity provider is able to securely control access to the system as well as manage the device itself. If you would like to learn more about how to manage your Mac fleet, drop us a note. 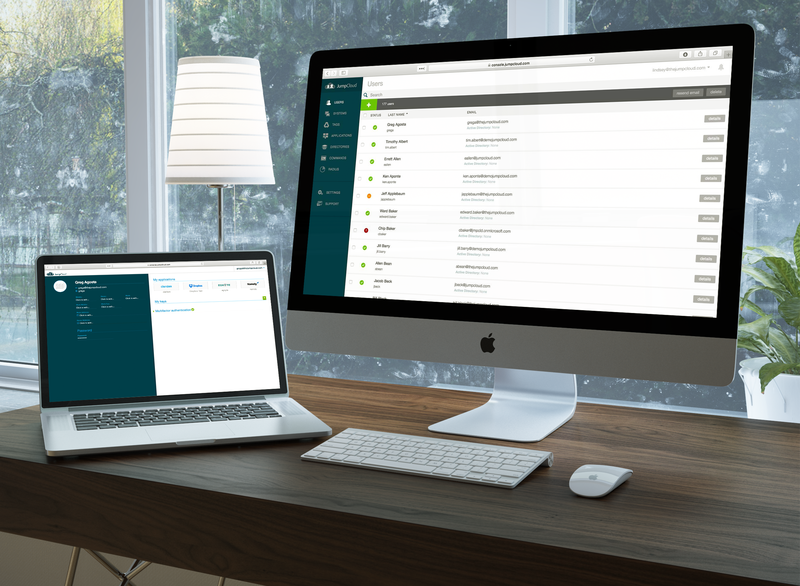 Alternatively, sign-up for a free cloud directory account and check out our Mac management capabilities. Your first 10 users are free forever.